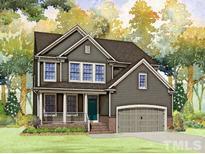 Below you can view all the homes for sale in the Granite Falls subdivision located in Rolesville North Carolina. Listings in Granite Falls are updated daily from data we receive from the Raleigh multiple listing service. To learn more about any of these homes or to receive custom notifications when a new property is listed for sale in Granite Falls, give us a call at 919-759-5754. Kitchen showcases a farmhouse sink, granite countertops, white cabinetry, all upgraded Stainless Steel appliances a 5 burner gas range, butlers pantry, gas fireplace in family room w/built- in bookcases, oversized walk in pantry and a 3rd finished floor with a full bath. This home has it all! MLS#2249875. 1103. Grayson Heritage, 3rd floor, 3rd car garage FOR COMP PURPOSES ONLY MLS#2231260. 1103. Chatham Bungalow-COMP PURPOSES ONLY MLS#2231328. 1103. HOA includes Pool at G. Falls Athletic Club MLS#2229233. 3251.